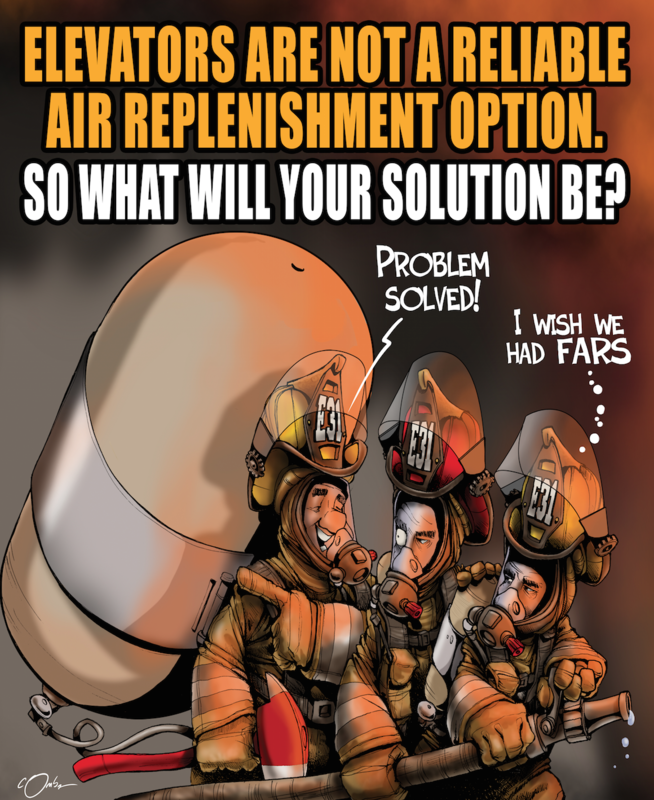 This is the final installment in a 3-part series comparing FARS with fire service elevators as a delivery system for air replenishment. In Part 1 of this series we evaluated the impact of time on elevator and stairwell operations at high-rise fires. You can read Part 1 here. In Part 2, we looked at manpower and reliability as it pertains to using elevators vs. FARS for air supply. You can read Part 2 here. In Part 3, we ask: Can elevators be used as an equivalency to FARS? In the never-ending battle to ensure that firefighters have the resources they need to battle dangerous fires in increasingly complex buildings, one thing remains true: builders are not in the business of taking care of firefighters. That doesn't mean they are heartless and don't care, but that their priority is to get their building constructed in the most cost-effective way possible. When consideration like firefighter safety and building systems enter the picture, the cost goes up. And when costs rise, so does the creativity with which builders and their lobbyists attack the inclusion of building components that directly impact the ability of firefighters to handle the inevitable emergencies that will occur. 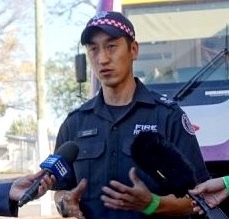 James Wong, a Station Officer from Victoria, Australia, is in the U.S. this month conducting a study tour of FARS. James' research is being funded by the Victorian Emergency Services' (VES) Emergency Services Foundation. These government scholarships and grants are awarded to members of VES to support their advanced studies in Australia and overseas. James' winning application detailed a “Respiratory Protection Replace-ment” project focused on FARS. His study tour will result in a government-sponsored report on FARS that will be distributed throughout the fire service in Australia and will be something members of the fire service around the world will be able to access for information. James is visiting FARS installations and speaking with fire service personnel in Arizona, California and Nevada throughout this month. He'll also spend some time with RescueAir CEO Anthony Turiello, the industry expert on FARS. Let's all extend a warm welcome to James! The International Association of Women in Fire & Emergency Services (iWomen) and Rescue Air Systems announced a new partnership that will help iWomen continue to advance its advocacy, education and training programs. 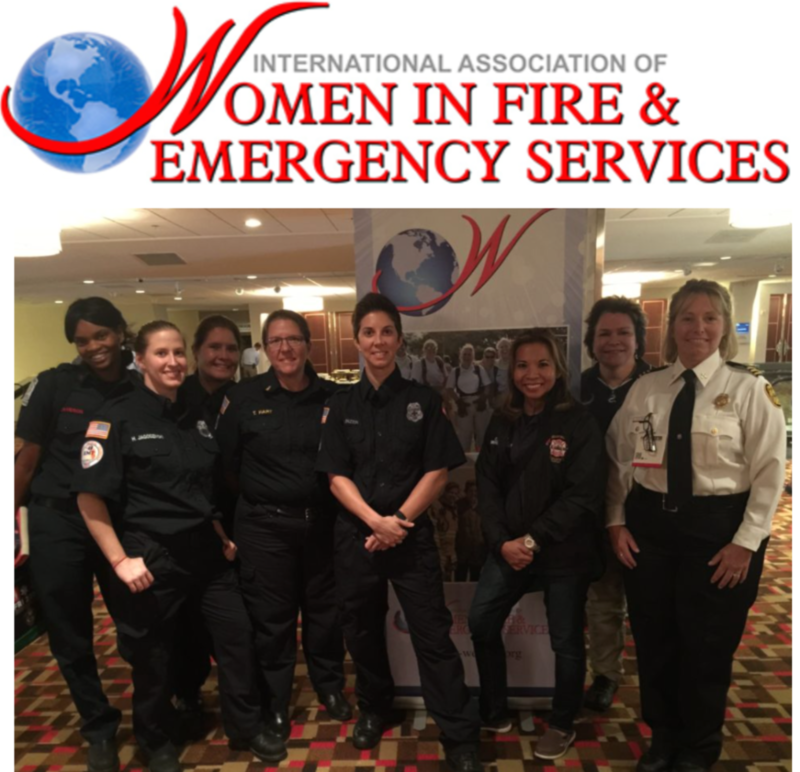 RescueAir will support iWomen throughout the year as a gold level sponsor, and help underwrite the organization's annual leadership conference, "Taking Charge of Change," which is scheduled for April 23-24 and co-located with the Fire Department Instructors Conference (FDIC) in Indianapolis. The iWomen is a 501(c)(3) tax-exempt non-profit organization, providing education, support and advocacy for fire service women. Founded in 1982, it is an network of women and for women — but not for women alone. Male fire chiefs, union presidents, EEO officers and others seeking to make the fire service a professional environment where women and men work together harmoniously are finding iWomen a valued source of information and counsel. Earlier this month, we got a chance to ring in the new year with some of our friends from FireEngineering and the Glendale (AZ) Regional Public Safety Training Center (GRPSTC). Chief Gary Morris, Australian Station Officer James Wong, FE Editor-In-Chief Bobby Halton, GRPSTC Director/Glendale FD Deputy Chief Chuck Montgomery and RescueAir CEO Anthony Turiello were joined by panelists Rick Lasky, Terry McGrath and Mike Gagliano for a demo of the system live from the GRPSTC training tower. The GRPSTC is $45 million shared-use facility opened in 2007 in a partnership between the cities of Avondale, Glendale, Peoria and Surprise and the Maricopa County Community College District, all located in the Phoenix metropolitan area. Most cities throughout the region require FARS in mid-rise, high-rise, and large horizontal structures, and more than 65 buildings in the region are equipped with FARS. This facility is one of four in the region where firefighters train on how to use the system. 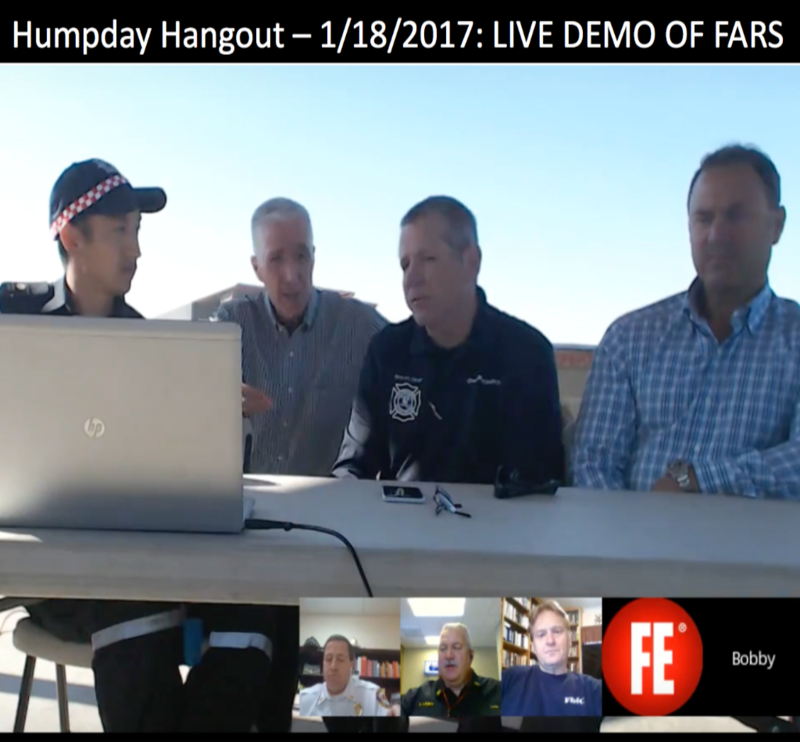 See how FARS works and why it is an important live-saving tool for the fire service nationally. You can watch the archived version here. Copyright © 2017 Rescue Air Systems, Inc., All rights reserved.